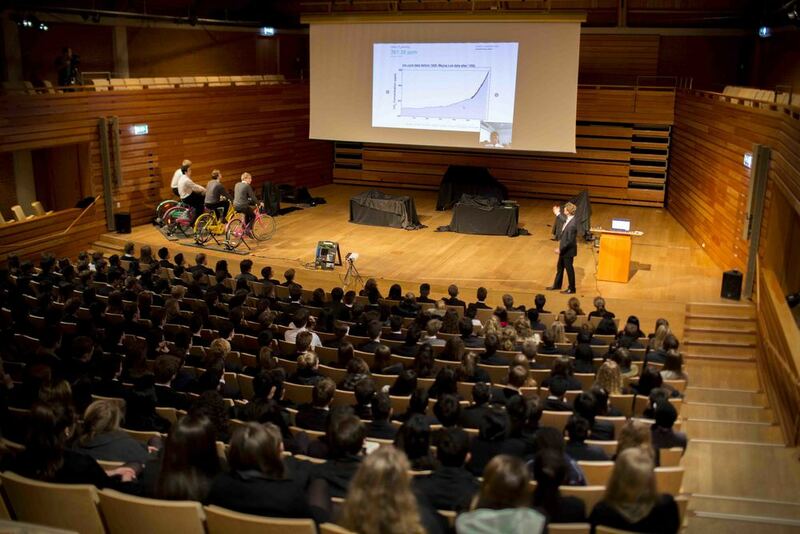 The success of the Sevenoaks School Science Week has been dramatic over the last five years with 5000 local students visiting in 2011, over 10,000 in 2012 and in excess of 12,000 for 2013. 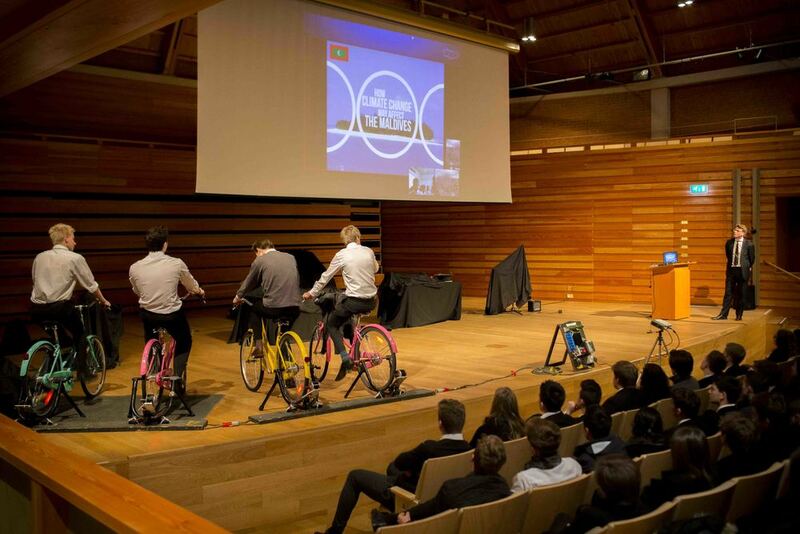 So we were really pleased to have been involved this year, kicking off with a Bicycle Powered Skype session with the school's 'twin' in the Maldives. 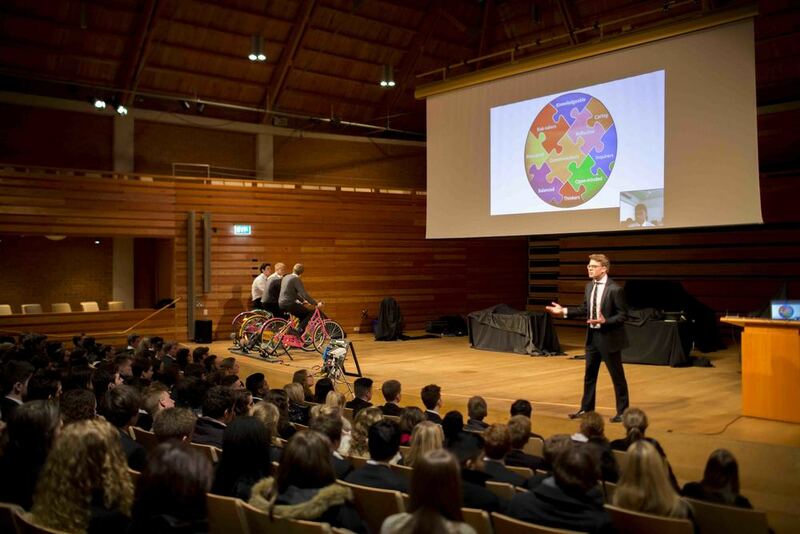 During the session the Maldives school was able to directly communicate to 400 students, the apparent effect of climate change on their island.